Do you today is Pi Day ? Today, March 14, is Pi Day, an annual celebration of a rather special number: pi (π). Although most people remember pi from their school days as being the ratio of a circle’s circumference to its diameter but for mathematicians pi is of far more importance than basic geometry: it crops up in all sorts of unrelated areas, from statistics to the laws of gravity, fluid dynamics to number theory. Pi Day is observed on March 14 (3/14 in the month/day date format) since 3, 1, and 4 are the first three significant digits of π. Although pi has been part of mathematics since the BC era, Pi Day has really been celebrated for the last 27 years. The day was first celebrated in 1988 in San Francisco by physicist Larry Shaw, who led an enthusiastic crowd of pi-ans to celebrate the day by eating pie. In 2014, the entire month of March (3/14) was observed by some as “Pi Month”. In the year 2015, Pi Day had special significance on 3/14/15 (mm/dd/yy date format) at 9:26:53 am and also at pm, with the date and time representing the first 10 digits of π.
Pi represents the ratio of a circle’s circumference to its diameter, but the number now is used for countless calculations and applications in the real world. While celebrating 3.14 on 3/14 is fun, the most appropriate Pi Day that has ever happened (and never will happen again) was March 14, 1592. The first seven digits of pi are 3.141592, meaning that date was the most accurate Pi Day the world will ever get! India’s Rajveer Meena holds the world record for remembering the value of Pi to 70,000 at the VIT University, Vellore on 21 March 2015. Interestingly he wore a blindfold throughout the entire recall, which took nearly 10 hours. Today is an extra auspicious day since it is the once-in-a-century Rounded Up Pi Day, when the month, day and year are pi correct to four decimal places rounded up to the nearest decimal place. 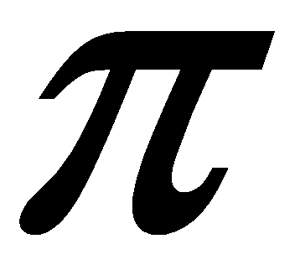 Pi is 3.14159 to five decimal places. Rounded up to four it is 3.1416. And today is 3/14/16.